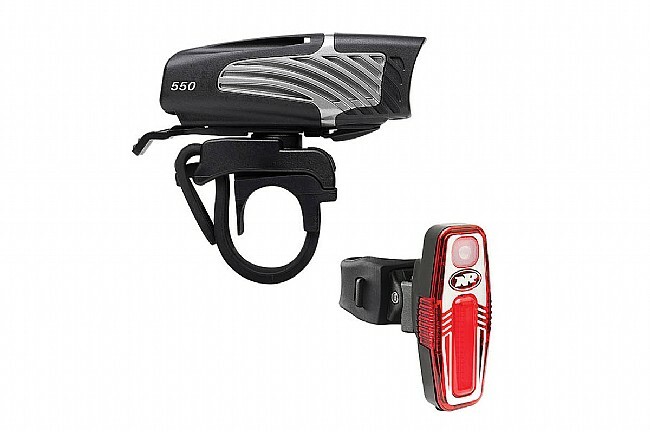 Double down on your refulgent bike safety munitions with the Lumina Micro 550 and Sabre 80 head and tail light combo from NiteRider for extensive - rear, side, and front - illumination, ensuring confident navigation in low and no light conditions. 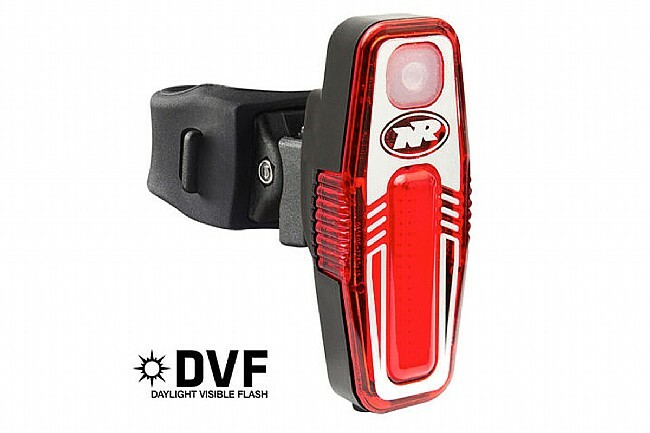 Both lights feature LED illumination, quick USB charging, and straightforward integrated mounting systems, for an efficient and powerful bike light pairing. The Lumina Micro 550 is equipped with the power of CREE™ light-emitting diode (LED) illumination, furnishing five modes of operation - four steady and one pulsing - spanning 40 to 550 lumens. To ensure you’re never caught off-guard, the power button doubles as a low battery indicator, turning red when 15 to 20% battery life remains. Providing 80 lumens of ultra bright light, the Sabre 80 tail light also supplies amber side lighting for 180º of visibility, even in direct sunlight. Its multi-LED array offers six different light modes, from full-output steady beams to Daylight Visible Flash Modes that ensure visibility even in the darkest conditions. 4 static modes and 1 flash mode. 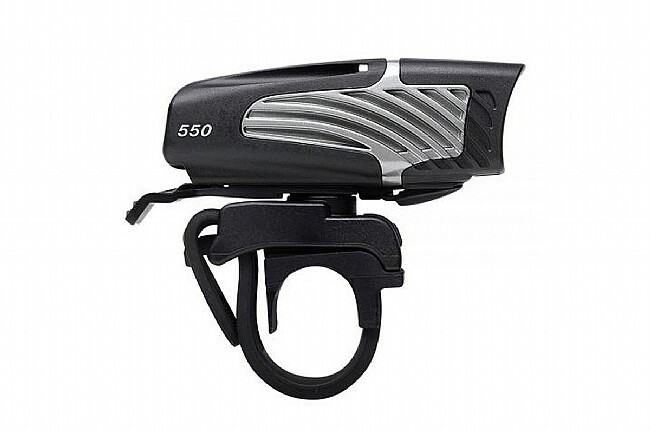 Easy on/off handlebar mount with quick-release tab. USB-rechargeable with Intellicharge™ rapid charge technology. Rapid Charge: 1hr 45mins at 1A / Normal Charge: 3hrs 30mins at 500mA. Meets FL1 Standard IP64 (water and dust resistant), lumen output, and runtime. Steady High: 1hr 30 mins. Steady Low (for walking): 20 hours. 3 Daylight Visible Flash modes. Amber side lights for 180º of visibility. Easy on/off seatpost mount with quick-release tab.